In Part 1 of our Ultimate Fat Burning Guide we introduced you to the first steps to a leaner, more shredded physique. If you’ve followed that guide you’ll have noticed some big differences and are hopefully dropping fat quite quickly by now. If you haven’t read Part 1 we’d suggest you hop to that guide first as Part 2 builds directly on the gains you’ll have made from those tips. In this guide we’ll be looking at some more fat-burning tips that will help to further your fat shredding ability. It’ll take into account that you are fitter and leaner and in places will push you even harder than the previous guide. Good luck. You’ll have been working hard in the gym for the last few weeks – hopefully you’ll have been incorporating weight training and cardio into your weekly plan. Both of these approaches are hard work. If you just keep adding more high-intensity activities you may burn out which would be counterproductive to your goals. But if you add some low-intensity physical activity you can cheat your body into burning more calories without the added physical stress. None-exercise activity thermogenesis , or NEAT, refers to activities which are too low in intensity to be classed as ‘exercise’. By keeping on your feet and moving throughout the day you can burn an extra 1-2kcal per minute. Whilst this isn’t a massive amount it’ll soon add up. These should by no means replace your gym sessions but will compliment them well. Not that HIIT isn’t advanced, but you can further your fat burning potential by combining weights and cardio with some tough, advanced workouts. Here are some of our favorites. This training approach was designed to keep blood moving around the body in order to maximize fat loss. The idea is to use weight lifting exercises for different areas of the body to stop blood from pooling in one set of muscles. By doing this you get an increase in heart rate and blood flow- and as a side effect, a great fat burning workout. Traditionally you’d include 5-6 different exercises and complete a circuit of 10-20 reps per exercise. You’ll move swiftly from one exercise to the next with as little rest as possible, and at the end of the circuit you’ll give yourself 1-2 minutes rest before repeating it. Aim to finish as many circuits as possible in a 30 minute period. It’s tough but will it’ll ignite your fat burning furnace like you’ve never experienced before. This training approach is as simple as it gets to organize, but it’s results are phenomenal. The system was designed by bodybuilder and personal trainer Vince Gironda AKA the Iron Guru. It’s completed using one exercise – perfectly one that involves multiple muscles, such as squats or presses or pulls. You’ll pick a weight that would normally allow you to complete 15 or so reps to fatigue. The idea is to complete 8 sets of 8 reps with only 30 seconds rest in-between sets. It’ll start off easy but very quickly get harder. If you can’t complete 8 reps that’s fine – work to fatigue but still give yourself only 30 seconds rest. Only drop the weight down if you can’t complete 4 reps in a set. In short, this training system will throw your lactic acid levels through the roof – but this is a great trigger for spiking the hormones that increase muscle building and fat loss. 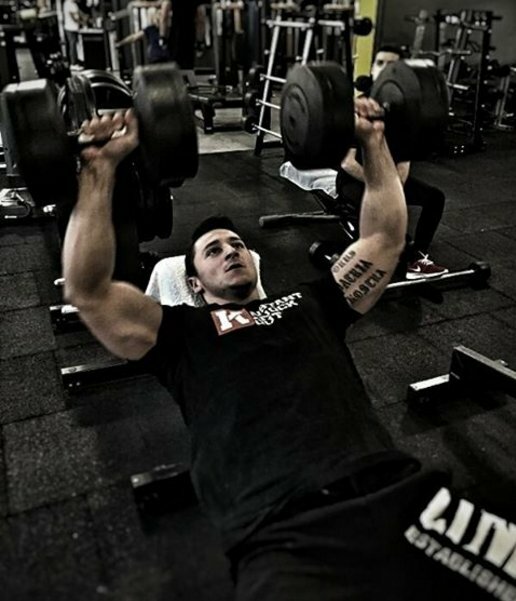 This is another tough training system aimed at maximizing lean mass and fat loss. You’ll choose two exercises for different muscle groups – upper body and lower body exercises work well together, as do pushing and pulling exercises. The idea is that individual reps and sets don’t really matter – what does matter is the total work completed for the session. The first thing you’ll plan is a time frame – traditionally a 15-minute period is used. Choose weights that allow you to lift 8-15 reps.
Start on exercise 1 and complete as many reps as you can/want to. Once you’ve finished, move on to exercise 2 and carry on, again doing as many reps as you want. You’ll continue moving between the two exercises, with as little or as much rest as you want – once the 15 minutes is up you record the total number of reps you lifted for the session. This is your personal record, or ‘PR’. The next time you complete the session you will aim to match that number as a minimum, or if possible work harder to beat your previous total. Once you’ve improved by 20% – which might take a few sessions – you can increase your weights. You got away with it in Part 1 but unfortunately alcohol has a lot of hidden calories – and by taking it out of your diet you can make it easier to reach a deficit. At 7kcal per gram, ethanol (the principal component of alcohol) is nearly as energy dense as the 9kcal per gram you’ll get from fat. Not to mention the sugars and other added ingredients you’ll get from your drink too – before you know it, your little tipple has packed the calories on. You’ll know yourself that after a few little beverages you lose you’re inhibitions. This means you are more likely to have a moment of weakness and start snacking on the foods that you shouldn’t really be including in your fat burning plan. Studies show that alcohol can decrease testosterone levels. A study published by Mendelson et al  found that after an acute bout of ‘alcohol intoxication’, testosterone levels plummeted, and remained low throughout the blood alcohol curve. Testosterone is an important hormone for both men and women in the quest for adding lean muscle. Ladies don’t worry though – you just won’t have enough T in your blood to add massive muscle bulk, no matter how hard you train. With all the will in the world it can be difficult to hit the gym on a regular basis without obstacles – time, work and family commitments will get in the way from time to time. All is not lost though. Micro training is a great alternative to the gym when you just can’t find time. It has been shown to improve maximal fitness, strength, endurance and body composition. For this approach you’ll complete 9 training sessions in a week. But before you panic, they’re only 15 minutes long – and you can do them at home too. A study published in the Journal of Strength and Conditioning  recruited a group and volunteers and asked them to complete 2 sessions per day Monday to Thursday and 1 session on a Friday. Each session had a different emphasis and cycled through strength, HIIT and muscle endurance. Not only did the group improve their shuttle run performance, they also improved strength and endurance in their legs, and reduced fat mass. Although you need to be in a calorie deficit to lose fat, the foods that make up your daily calories can make a big difference too. Including foods in your diet with either a satiating or thermogenic effect can boost your fat-burning potential and give you the edge you need to strip those last few bits of fat off. Potent thermogenics – foods that increase heat in the body and therefore increase metabolism – are beneficial to your plan and could be included on a daily basis. Green tea has been found to increase energy levels and turn up the thermogenic switch in a number of studies [4, 5]. Likewise, adding spice to your food such as cayenne pepper or any spice containing the compound capsaicin will elevate your metabolism [6, 7]. For all of these ingredients and more check out Instant Knockout – an industry-leading fat burner that helps you achieve your fat loss goals. It boosts your metabolism in a safe way. It uses ingredients such as cayenne pepper and green tea extract alongside a host of vitamins as well as many other nutrients. In Part 2 of our guide we’ve added even more tips on how to further accelerate your fat loss. Apply these and you’ll be well on your way to a fitter, more athletic physique. In reality you need to know that there’ll be times when fat loss will stall and you might lose motivation. Just remember that fat loss isn’t a linear process – as you progress, you’ll have to work harder and harder for marginal gains. This is where you get your head down and keep moving. You’ve got all of the tools you need now – it’s all up to you.